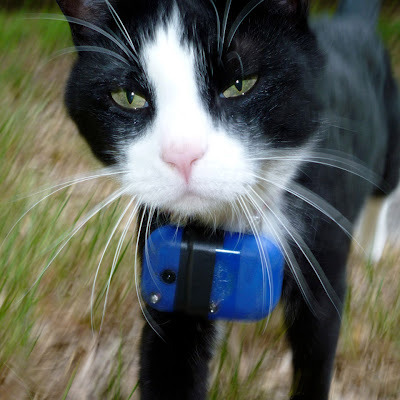 You may have heard something about the "kittycam" stir that swept the news last week. I won't make this a terribly long rant, mainly because others have also rebutted the "kittyCam" issue. But I did want to point out that four mainstream news outlets picked this story up - and they apparently didn't invest much thought into their reporting. I don't know about you, but I consider USA Today, Yahoo News, Discovery News, and American Public Media to be sources that I should be able to reasonably rely upon to report factual information. You probably recognize APM. They're heard daily on NPR, the radio entity considered by many to be the most objective and responsible reporting source in the U.S.
Let me first show you the facts I discovered within 30 seconds of googling "Univ Georgia KittyCam". The study was done by a graduate student for her dissertation. Didn't know that, did you? Now, granted, universities do use students in their research studies, and the study was funded by U of Georgia. But it's not yet been peer reviewed. And it's for a graduate student's dissertation. No huge government grant, no teams of researchers. Kerrie Ann Loyd, the graduate student responsible for the study, conducted her research in only one city in the U.S. and included only 55 cats. Since the APPA estimates that there are over 85 million pet cats in the U.S., that's a representation of - ready for this? - 0.00000006% of that cat population. Would you believe a straw poll represented the opinions of the entire U.S. population if conducted on that small a cross-section of people? Yet none of the news outlets who reported this provided you with this information. She goes on to quote George Fenwick, president of American Bird Conservancy, without even challenging his statement as a good reporter must. Here’s what he said: "cat predation is one of the reasons why one in three American birds species are in decline." That in itself is bad, but she does it within the context of (incorrectly citing) the entire U.S. cat population. Discovery News led with this headline: "KittyCam Catches Cats' Killer Side" and includes an extended quote from George Fenwick, stating, "“If we extrapolate the results of this study across the country and include feral cats, we find that cats are likely killing more than four billion animals per year, including at least 500 million birds." Is it just me, or do I sense some negligence on the part of these reporters? 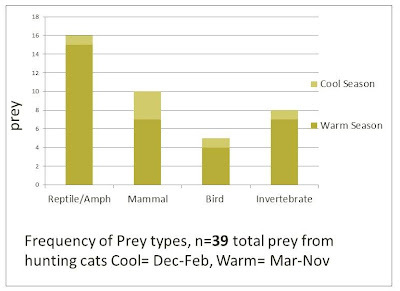 “Results indicate that a minority of roaming cats in Athens (44%) hunt wildlife and that reptiles, mammals and invertebrates constitute the majority of suburban prey.”(emphasis mine) When you do the math, that's only 17 cats. They're basing this entire brouhaha on seventeen cats?!? More info from the U of Georgia site: a slide showing the types of animals cats hunt. Note avians (birds) are the lowest. Yet the American Bird Conservatory is taking this study and using it to cry fowl - err, I mean foul. Why is no one calling them on this - with the exception of cat advocates? “A recent study on cat predation, while well intentioned, does not greatly expand our overall understanding of the dynamics of the issue. 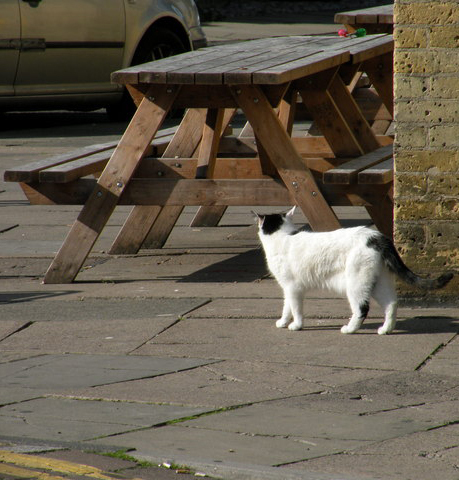 Some outdoor cats do prey on wildlife, but their contribution to reductions in wildlife populations is hotly debated and not fully understood. 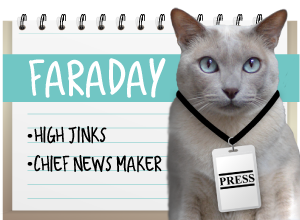 Had any of these news reporters invested a mere hour of their day to watch this report, they would have noticed Ms. Loyd mention that at the end of the study they offered the participating cats free medical exams. She followed that statement with a sarcastic comment, "that was fun...!" I propose that Ms. Loyd might not be as objective as one might wish a researcher to be. One other observation was just a fun bit of trivia - Ms. Loyd showed a photo of the Save Loews Cats protesters in her presentation (was that Dorian Wagner of Your Daily Cute I saw in there?). And lest you think I'm using these facts to support my own personal agenda, let me tell you Ms. Loyd's limited research also claimed a few facts about the dangers to outdoor roaming cats that I'd love to quote. But since her research represents one in five million pet cats in the U.S., I can't in good conscience use it! 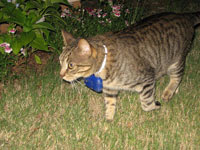 "The most common risk factors experienced by suburban free-roaming cats include: crossing roads (45% of our sample), encountering strange cats (25%), eating and drinking substances away from home (25%), exploring storm drain systems (20%) and entering crawlspaces where they could become trapped (20%). 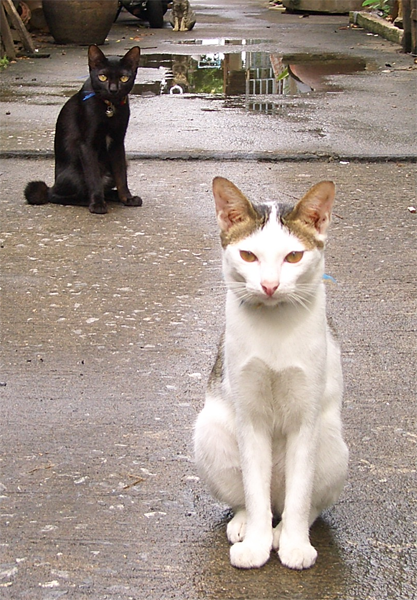 Eighty-five percent of project cats were witnessed exhibiting at least 1 risk behavior." So now you have the data - and the links at your fingertips - should you decide to investigate for yourself and form your own conclusions...uninfluenced by anyone's bias. Including mine. (one last wee rant: This took me a mere hour and a half to research and write. And I'm not paid to report. Next Week on Medical Monday: Star Trek & Deaf Cats! That's a very irresponsible "research". It almost sounds like this Ms Loyd has something against kitties? So let me see if I understand this...cats kill mice and birds...this is news? All animals kill each other it is called the food chain, it is nature and if it seems harsh that is just too bad. It is instinct and survival and yes sometimes it is difficult to see, hear, watch, but it is life. News media wants ratings and readership and the number one rule is "if it bleeds it leads". The gorier and the more sensational, the better, so they would leap all over a "killer-kitty" story. Is it irresponsible? Yes of course it is but it is also sadly reality. I know! Those in the TV industry call a "bad news" day one in which there's nothing juicy to report. Well, here's my piece of mind, I just had to laugh at what she said about trying to make cats sound like dangerous killers. I think it is ridiculous that the media is once again sensationalizing it. For crying out loud, they have predatory instincts. So do the dogs. They didn't have to make cats sound so deadly. You didn't expect their feline ancestors to have survived this long without finding food. I think she's just making it a big deal out of them. What's more disturbing is this study's sample size and location. The research is based on convenience. So no, it's not enough to justify what ever they are trying to prove. Agreed. That's why we went to the trouble to "do the math". A sample of 17 out of 85 million? Not enough to even suggest a trend! A no story made into a story. Amazing how nothing can be research. Have a great Monday. Ummm.... I really don't think this woman should earn her degree. I live with eleven other cats and although I don't wear a kitty-cam or anything, I can tell you first-paw that we're not out there killing every birdie in sight. We hardly ever kill birdies! I don't think any of us have killed one all summer long. Let her crunch those numbers!!! Let's see....you're a sampling of 11, and she used a sampling of 17. You are 65% of her total! It really is insane. Cats are never going to get out of the disposable pet category if 'professionals' keep treating them like this. I agree! 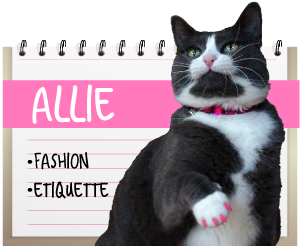 And I love her post title, "And now in ridiculous cat news..." SO true! Awesome - I shared on my Facebook page! Although I have to confess, I am a little disappointed that we are not the killing machines we were reported to be. Sparkle, in you beats the heart of a huntress. Ah, the decline of journalism ... drives Dad nuts (as a former journalist). Thanks for your hard work and insight. Thanks Jasper! And thanks so much for visiting us! You go Ayla! 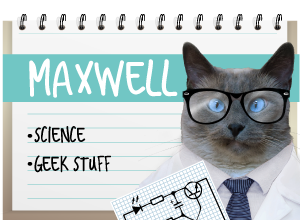 Maxwell caught a spider in our house a few weeks ago - does that count? Why yes, as a matter of fact. Insects were the #1 category. Great post. Totally irresponsible journalism. It's bad enough that the grad student did a crappy job on her dissertation. It's downright shameful that the news media presented it as fact. Thanks for the compliment. We agree - it has sure turned us into "trust but verify" people - in ALL news stories! You know..thta was a valuable blog to read and thank YOU for picking apart that cat hater's so called study. And Connie's comment is straight on the money. Thanks Katie! We agree - we really liked Connie's post. Did you know Mommy got to meet her last week in person? YAY! Thanks for spending a little time investigating this issue - if only the reporters would have done the same. They apparently swallowed the ABC/TWS press release hook, line and sinker! Didn't they?!? And we loved your story on 'mental illness' too!! I think Austin would like to think he’s a killing machine, but in actual fact he’s not!! I blame the media sensationalising, again!!! Thanks for providing a more fair and balanced point of view about her "findings"! "findings" is right! Thanks, Daisy! We cats aren't going to take this lying down! Me, I'm a cold-blooded killer but I'm from da hood. Most of my furrends wouldn't hurt a flea. Here's a statement for the press to run with: A majority of reporters are morons. Sensationalism!!! We all knows us cats is murderous when it comes to small vermin, we was domesticated to kill mice and rats and bugs! We agree!!! And thank cod the boyz kill those spiders and silverfish, too! Great article! After watching the video I don't know where everyone came away with the headlines unless they were influenced. And Lloyd even states the opinion that cats aren't the predators she thought, and birds are apparently the last choice of prey. I just don't get it. I've looked a birding association news from other countries, who have just as many cats and have more cats outdoors, and they don't even mention cats as a problem. Did you also notice that she said Athens appears to be in the middle of a bit of controversy about their TNR program, too? I thought that was interesting. I believe the 24 hour news cycle has made reporters lazy. They're under a lot of pressure to cover a lot of stuff that will hopefully go viral. Your critique of this particular issue could be applied to any number of news stories. Thank you for writing such an educational post that goes way beyond the issues concerning outdoor cats.